Office of the Dean, Faculty of Humanities and Social Science, Tribhuvan University published BCA Entrance Exam Result for the new academic year 2018. Classes will start from 2075 Mangsir 2, so passed student must admit before the end of the Kartik 2075 to the related affiliate colleges where they want to study. 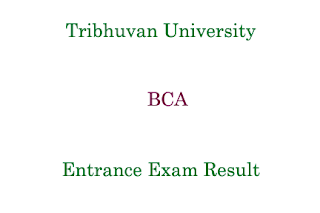 Check BCA Entrance Exam Result Tribhuvan University below.